This entry was posted in CRM Intergations, TE CRM Newsletter on October 2, 2014 by David Northmore. Are you sending Email Marketing Campaigns? 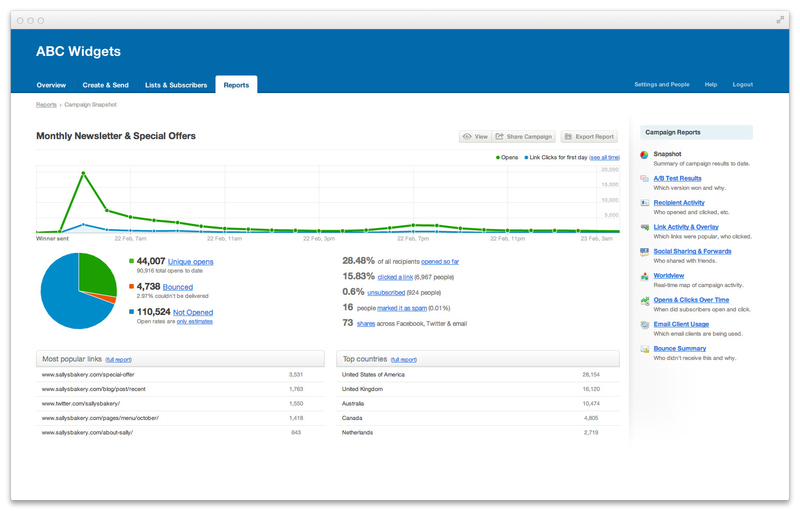 Tall Emu CRM gives you access to Campaign Monitor, one the world’s best email marketing platforms. If you send newsletters, sales or product promotions, announcements or drip-feed marketing then you’ll love the hosted email marketing platform that you get with Tall Emu CRM. Send a request via our contact form simple stating that you want access to Tall Emu Emarketing (Campaign Monitor). Every day, millions of businesses ‒ from sole traders to multinationals ‒ send email campaigns to their clients, subscribers, suppliers, and partners. Commercial email returned a whopping $43.62 for every dollar spent on it in 2009, according to the Direct Marketing Association’s Power of Direct economic-impact study. With email marketing still providing the highest return on investment of any form of marketing, it’s safe to say that email will be around for a long time to come. Why use a hosted email delivery service? Are you wondering what benefits there are to using an external email service? Could you just do it using your own internal mail server using a mail client like MS Outlook? The most significant factor in the success of an email marketing program is the delivery of emails. Campaign Monitor’s infrastructure is built to ensure that they can send millions of emails each day. They have a team working to ensure that the reputation of those servers is excellent and work with ISPs to ensure that emails get through to subscriber’s inboxes. It can take a lot of work to manage your own mail server when things go wrong, for example, removing your domain from black lists. Because the emails are sent using external servers, there is also no impact on your day to day mail server. 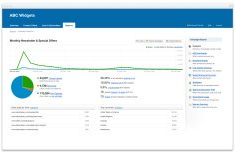 long with the hosted email service you have accesses to very powerful reports. If you know who opened your emails, what they clicked on, who bounced and who unsubscribed, you can start to understand what your customers are interested in and who might still be active. Subscribe and unsubscribe requests are handled automatically. Bounced emails returned to your administration mail-box are automatically processed with bounce lists updated. There is no risk of large volume mailings crippling your mail sever and interrupting normal processing. Reduces the risk of your mail server getting black listed or throttled by your ISP. While you could use your own email client, or some other in-house tool to process your email communications, it is more sensible that you spend that effort on honing your message to your clients, having the hosted emailing service shoulder the administrative burden and network load. Campaign Monitor are a true Australian success story, and we are very proud to support them as our first hosted email platform that we’ve integrated with. However, it is not the main reason we recommend them. You’ll be happy to know that it’s their service and platform that really got our attention. Campaign Monitor are an Email Marketing Service provider based in Sydney. Their software makes it easy to attract new subscribers, send them beautiful email newsletters and see stunning reports on the results. Our customers often tell us that they love how easy Campaign Monitor is to use, powerful and intuitive. This saves our customers time and makes sending emails very easy. Local Support with speedy response times. Great online help and support forum. Are they better than Mail Chimp? We always recommend that customers use campaign monitor because we’ve integrated with it but on the whole the features are broadly similar. The Campaign Monitor support team are generally able to be much more responsive to customers based in Australia. Custom DKIM authentication MailChimp offers authentication which is similar to our default ‘authenticate for you’ option, Customers can set up SPF/SenderID, but not DKIM. As many servers require DKIM authentication to deliver email, this can have a significant impact on delivery. Also, important features such as Gmail Feedback Loop are not possible without DKIM. It’s not possible to send to more than one list at a time in MailChimp. 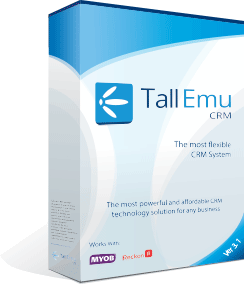 Tall Emu CRM plus Campaign Monitor = Smile! Who to send email campaigns to? 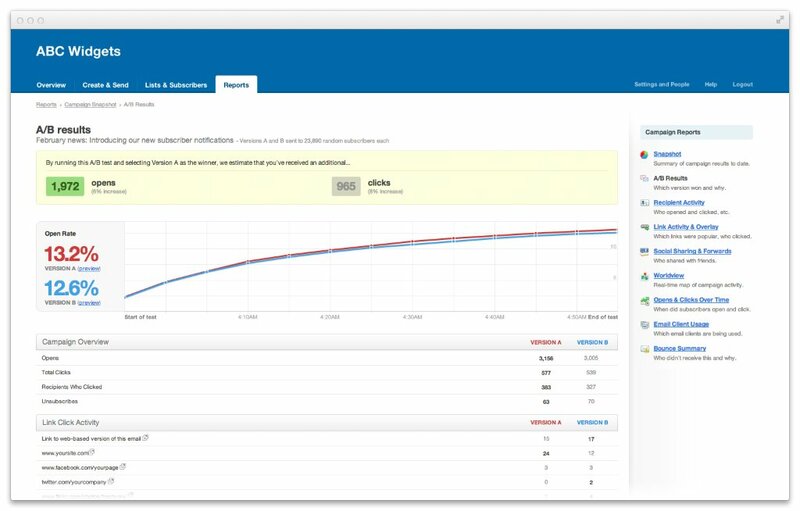 What better place than starting this process by querying your Tall Emu CRM data. You can make your target lists in here to your heart’s content. You can have multiple lists and even set up dynamically created lists as your CRM fills up with data or customer data changes – making complicated segmentation of your customers can be very fast with Tall Emu CRM. You can use your MYOB data (or any other accounting systems that we’ve integrated with) to create lists, for example, list of Top Revenue producing customers or the most profitable. Campaign results for the email campaign are sent back to Tall Emu CRM and are associated with the email contact record. 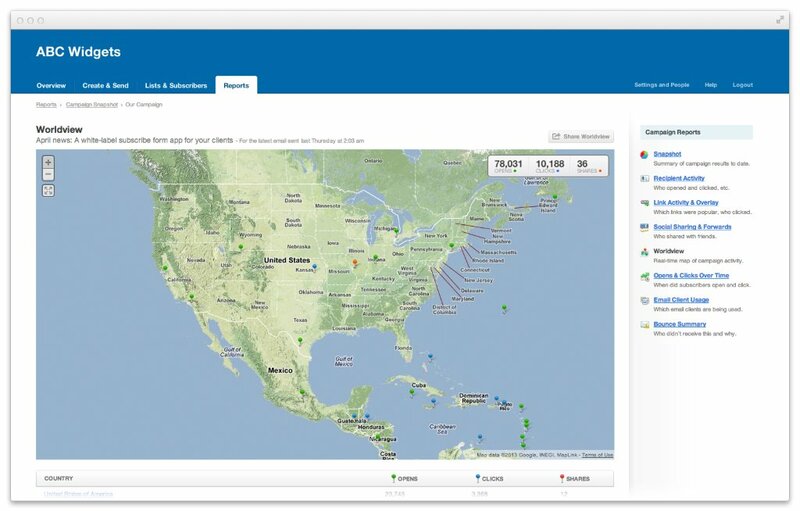 With the results, powerful reports can be created that only your CRM can produce. For instance, you could create a report that says “show me if we received more sales from customers that opened an email or were part of a campaign than those that didn’t open a campaign and was in the campaign”. Record sales that happen offline to your email marketing campaigns. Send a request via our contact form simple stating that you want access to Tall Emu Emarketing or Campaign Monitor. Covering subjects like best email marketing campaigns, email trends, why email and planning a campaign, these guides are available for you to get better at email marketing.